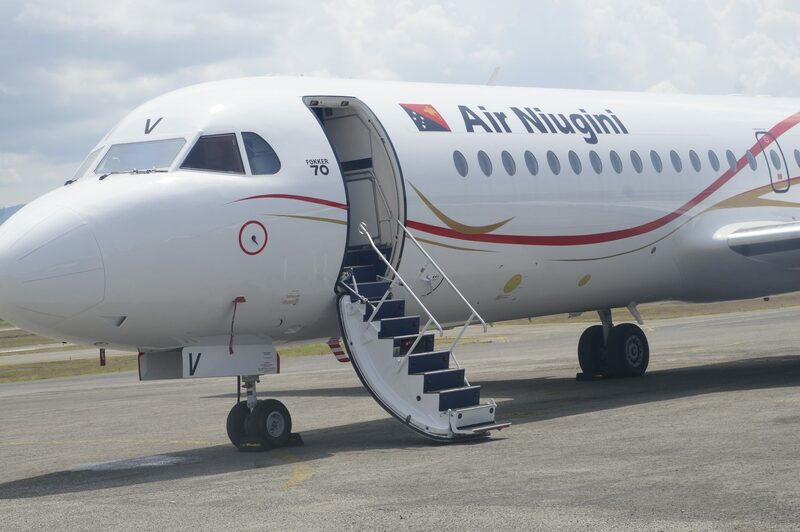 Papua New Guineans will soon be able to fly direct to Townsville, Australia to make sure they don’t miss their favorite sporting events, TAFE and university studies and business meetings-thanks to direct flights being launched by Air Niugini. The new flights, to be launched just in time for the NRL season, will also benefit the Central and North Queensland business communities who can now better access PNG and other Pacific and Asian cities through connecting flights at Jackson’s airport in Port Moresby. Air Niugini will commence new air services between Port Moresby and Townsville in North Queensland, effective , 31st March 2017. These direct services will operate every Monday and Friday , departing Port Moresby at 09:55am and arriving in Townsville at 11:45am. The return flight will depart Townsville at 12:30pm and arrives in POM at 2:20pm. Air Niugini Chief Executive Officer, Mr Simon Foo said Townsville already enjoys strong business and cultural links with PNG through its “sister city” relationship with Port Moresby. Mr Foo is impressed with the tremendous support for this service as exhibited by the Townsville business community and encourages the PNG business community to look at this opportunity as well. “ This service has the potential to be an important addition to our regional “hub”. It will offer the citizens of Townsville and other centres such as Mackay and Mt Isa the efficient international “connection” they don’t currently have – transiting here before traveling to our major Asian centres such as Manila, Singapore and Hong Kong as well as Honiara, Nadi, Port Vila , Pohnpei and Chuuk in the Pacific .” Mr Foo said. Air Niugini has several fare levels for POM/Townsville return, starting from K1175.80 which is available on the internet and K1,271.80 at the sales offices. Tickets can be purchased now for travel from 31st March onwards. The direct Port Moresby/Townsville service will also benefit the SP PNG Hunters when they play in the Queensland Cup against the Townsville, Mackay and Rockhampton teams – both in terms of reduced travel times, and lower team travel costs. And it will enable fans in Papua New Guinea to attend Cowboys home matches, and the Hunters games – as well as the fans of the North Queensland teams who want to see their teams play here in Port Moresby. The NRL round 5 matches between Cowboys and Rabbitohs on 31st March will be held in Townsville, an opportunity for fans in PNG to attend. Air Niugini has provided a three nights package of K2, 679.00 per person with a twin share as well as return airfares and airport transfers, accommodation, full buffet breakfast , return transfers from hotel to stadium, game ticket, all travel taxes and surcharges. To make bookings, please call Air Niugini Tours Department 327 3557 or toll free 180 2121. Conditions apply. The inclusion of Townsville brings the number of Air Niugini nonstop destinations in Australia to four(Brisbane, Sydney, Cairns, Townsville), as well as code share services to both Melbourne and Perth. Air Niugini flies to Australia 25 times a week-more than any other airline. Air Niugini serves a total 15 international destinations. Another destination that now remains firmly on Air Niugini’s radar for the future is Shanghai, China which will complement the airline’s current four services to HongKong.